Veteran Assamese film and stage actor Indra Bania passed away in a private hospital in Guwahati on March 25, 2015, the night following a prolonged illness. He was 73. Born in 1942 at Dhalpur, Indra Bania had first grabbed the limelight by playing the lead male role in ‘Gobardhan Charit’ in the 1970s in All India Radio, Guwahati. He was honored with Natasurya Phani Sarma Award in the state in 2010 for his contribution to Assamese film and theatre. 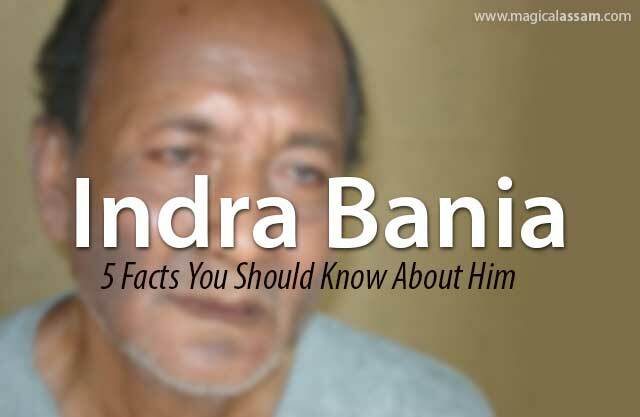 In 2007 Bania played the lead role in Enisha Sharma’s ‘Freedom at the Edge’ – a film on Machang Lalung, a poor tribal from Silchang in Assam who was confined in a prison for 54 years without any trial. Winner of several state-level awards, Indra Bania had acted in more than 40 Assamese films in a screen career spanning over four decades.